Is anyone still sitting on a pair of these that theyd like to sell? After years of dithering, I'm ready to pull the trigger, but cant find any targets. Would rather not need to have them painted. It's Bbags or a high mount exhaust system - I can't have both & bags actually have functionality for my type of riding. Any takers? Prices, shipped to USA zip code 66523? Have you considered something more useable and that can pop on and off? Givi e21 bags on the side let me still lane split. They are totally waterproof and lockable and are twice as big in capacity as beatle bags but stick out less. They also look way better in my opinion. Someone recently had a set of yellow ones for sale. Not sure if they sold or not. Any chance you found the thread? 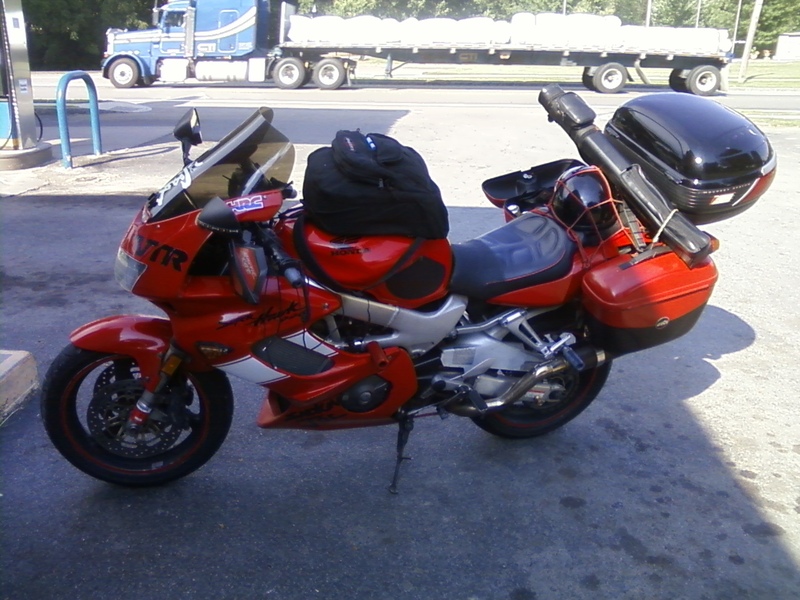 Okay, decided to spend my $$ on a vfr tank swap and a set of soft bags instead. Thanks for the advice on the Givis. Are you sure you don't want the Corbin Beetle Bags?? Wow, great price! I looked back through the classified but couldn't find any.